This is shocking! If you deny a guest, your calendar will be blocked for that day. This is bad policy. Really, bad policy. 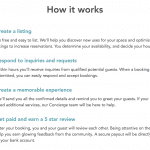 Airbnb is telling hosts they don’t know who they should versus should not accept into their home. Really? I’ve hosted hundreds of guests and am apt at choosing which guests are most suitable for my home. Not to mention, guests don’t read and it’s the host job to ensure the guest will be a good fit as their review is on the line. 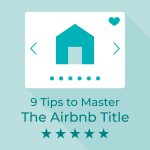 Here’s an active thread on the Airbnb Host Forums about this. One of the benefits of having Airbnb’s nearby is they act as emergency housing. This has happened a few times here in San Francisco, my hometown, when fires have burned down homes. I’m glad to see this trend gaining some traction. Do you think hotels would open their rooms for free? 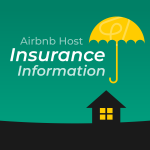 Here is Airbnb’s Urgent Accommodation page with 3,000+ active free listings. On a related note, EmergencyBNB caters to refugee’s or victims of domestic violence. It’s a short article, I hope as short as the remaining life span of Magical Trips. 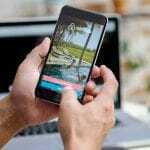 Airbnb has invested heavily in being part of the offline travel experience over the past couple years through an initiative called ‘Magical Trips’. I’ve been part of it, offering experiences, and I’m not a believer. After all, they’re trying to take mass produced tourism experiences into more personalized experiences. This may work, but guess what will eventually happen? Once operators understand more money is to be made by mass producing them, they’ll do just that. Great idea, but not there yet and I wish I had solutions to offer on this one. It’s a big idea. This is an amazing analogy from Joe Gebbia, Airbnb cofounder! Go to 5:30, watch for 60 seconds, and you’ll understand why Airbnb is a thing and why people so frightened to let astrangerr in their home have always been wrong. 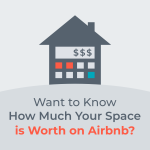 Data from Airbnb! The company isn’t in the habit of releasing this type of data, nor is it particularly useful. However, it is interesting to look at. They’ve provided nine bits of data on nine different neighborhoods. The link in the article takes you to the landing page, but this link takes you directly to the data.